In 2015 the Aarhus School of Architecture hosted a 10 day workshop in collaboration with the Architectural Association. 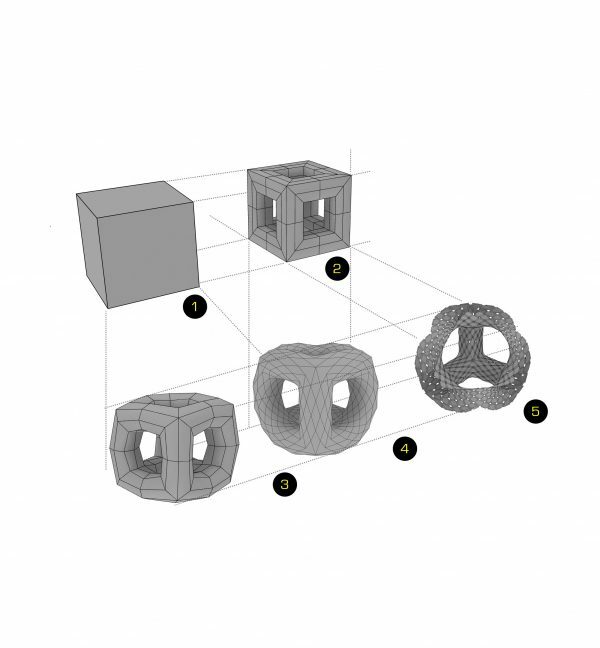 This was part of an initiative between the two schools to investigate the implications of computational tools in design and fabrication under different scales of architecture. 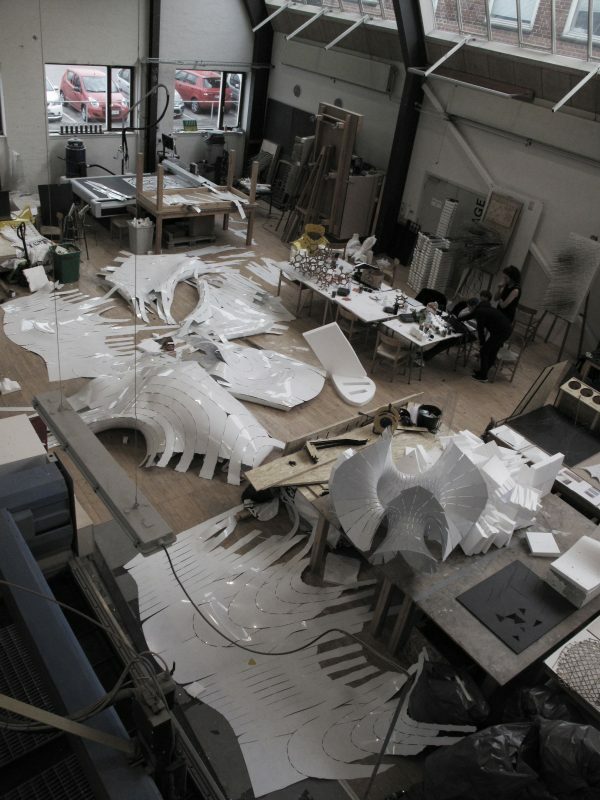 The workshops focused on novel computational software coupled with fabrication techniques that investigated designs particular to the ecology of Denmark. As a part of the workshop, the participants were introduced to the basics of parametric modelling, digital fabrication and material behaviour. 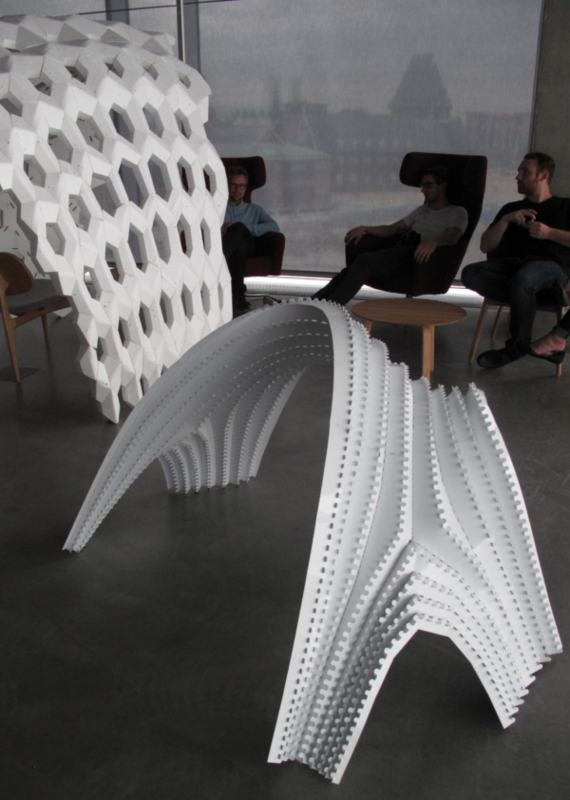 Aarhus has a large array of different digital fabrication tools. In 2016 the participants mainly used laser cutting and digital cutting techniques, however in 2017 we expandedthe Visiting School to also focus on robotic manufacturing.ng, bending or morphing among others. 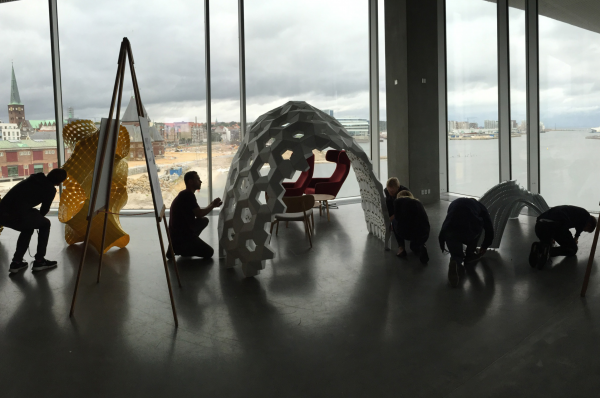 In its third year in Denmark, the Aarhus Visiting School will expand on previous agendas in integrating robotic and CNC tools as part of the design and fabrication process in architecture. 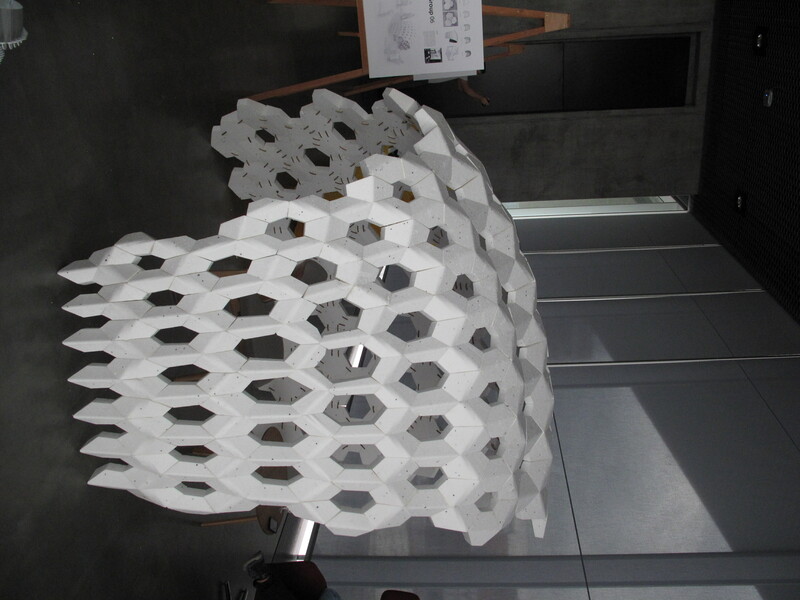 The workshop will be divided into two research agendas which include ‘Mesh Morphologies’ and ‘Robotic Crafting’. ‘Mesh Morphologies’ focuses on teaching students how to control and manipulate geometry at both the local and global scale based on environmental and material inputs, where a digital fabrication pipeline enables a constant feedback between physical and digital models. This unit favours all levels off grasshopper knowledge, but if you are a beginner this is the unit to choose. 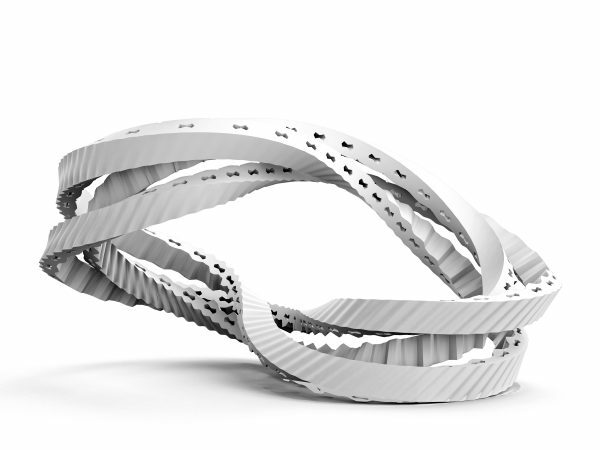 ‘Robotic Crafting’ will engage traditional construction techniques and tectonics systems, reinterpreting them for a digital design and fabrication paradigm. We will develop and implement fabrication processes that integrate material properties and potential feedback systems, and make use of the ABB IRB 6620 and 120 robots available. 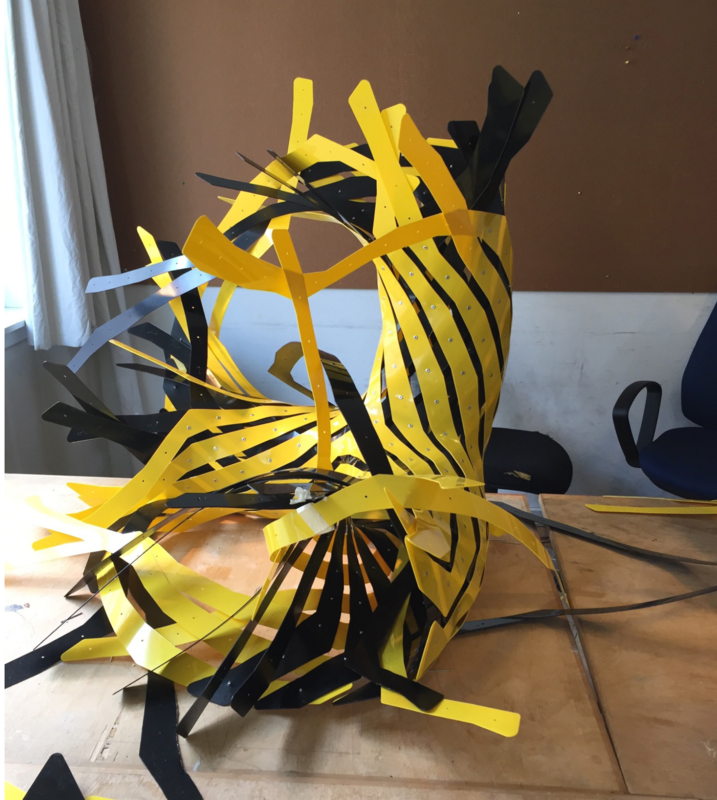 This unit assumes that you have an intermediate to advanced level of grasshopper knowledge, as we will emphasise individual process and data design. We hope that through our continued work within this field, we will be able to contribute to the ongoing architectural discussion on parametrics, pattern making and fabrication. • Applying theories that are highly applicable in contemporary practice through computation.